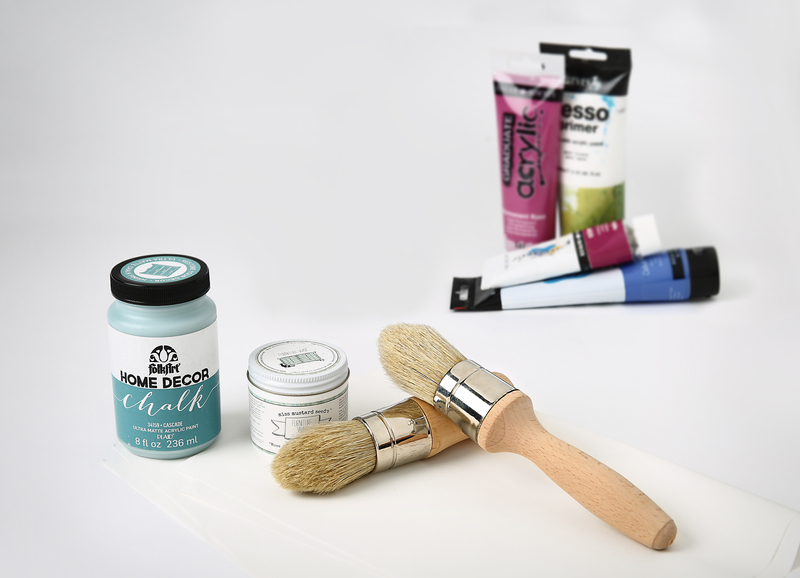 MULTI-PURPOSE: Can be used for any chalk paint, wax, and all other brands of paint. Rounded form holds thicker paints with more versatility. 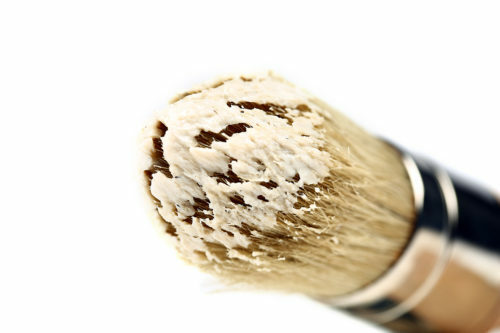 ERGONOMIC DESIGN: Bristles are tapered to a point so you can get paint tight corners with greater detail. Ergonomic handles grip comfortably when painting or waxing. 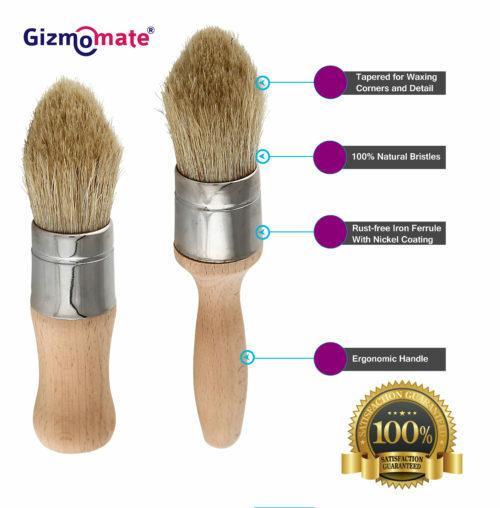 GREAT VALUE 2 FOR 1: Use the longer handle for more detailed waxing, and the shorter brush for painting tight spaces or to quickly cover large surfaces. 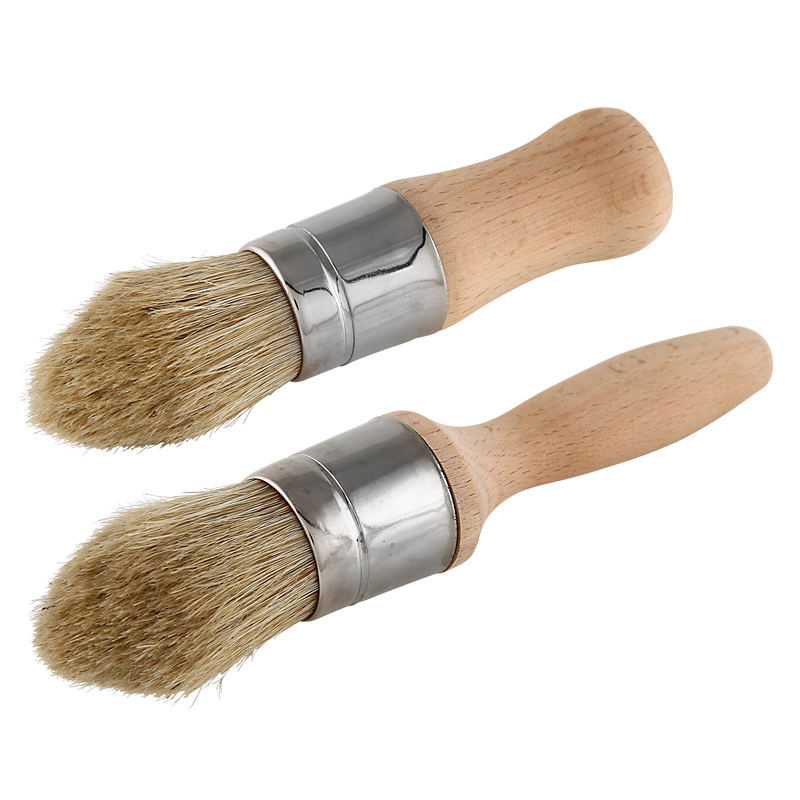 TOP QUALITY MATERIALS: Pure Iron Ferrule with Nickel coating keeps it rust-free. Made from 100% all-natural boar bristle hair for smooth, even application of paint & wax.